Adventure Time may be over, but fans of Pendleton Ward’s ambitious and emotionally devastating storytelling can find some comfort in Bravest Warriors, which is just as full of plucky, young heroes and adorable creatures. The A.V. 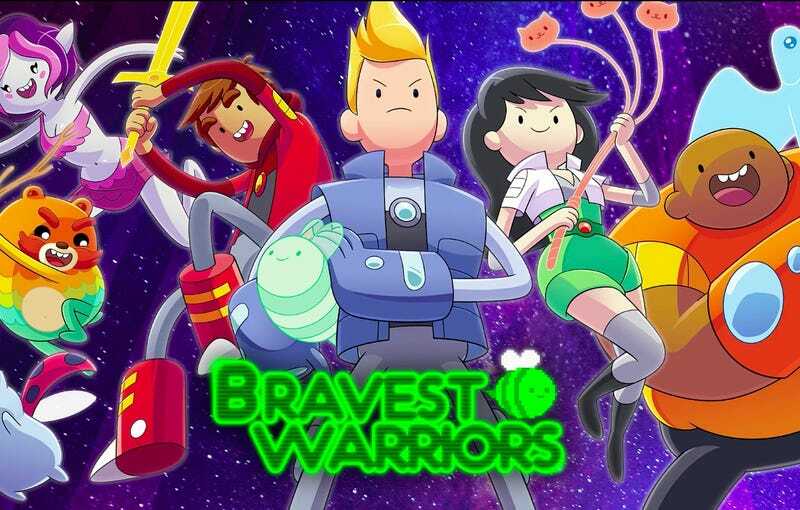 Club wrote about Bravest Warriors back in 2013, noting that while Ward’s other “mindfuck” of a series has the “wiggly limbs and idiosyncratic vocabulary” of Adventure Time, it could make “subversive text of what can only be subtext” on the latter. Graeme Jokic voices Chris, the leader of the Bravest Warriors, the teen-heroes for hire, though Beth (Liliana Mumy) is coming for his title. In yet another sign that there’s too much damn TV, this series has flown under this writer’s radar, but it’s worth catching up on, starting with this exclusive clip. Is Chris really in Hell or some other afterlife, or is Emotion Lord (Breehn Burns) just messing with his head? You can watch the full episode over to VRV.